Shipwreck Shawl: A long term project! I started this last August, the central lace section is all knitted. There are some errors in the lace panel, but I’ve done them consistently over the whole round so it works out – I’m comfortable with leaving them as is. I’m currently on the beading stages and am still on the first needle size with the beads. Not the most scintillating of sections to knit! Fingers crossed I’ll get it done this year. 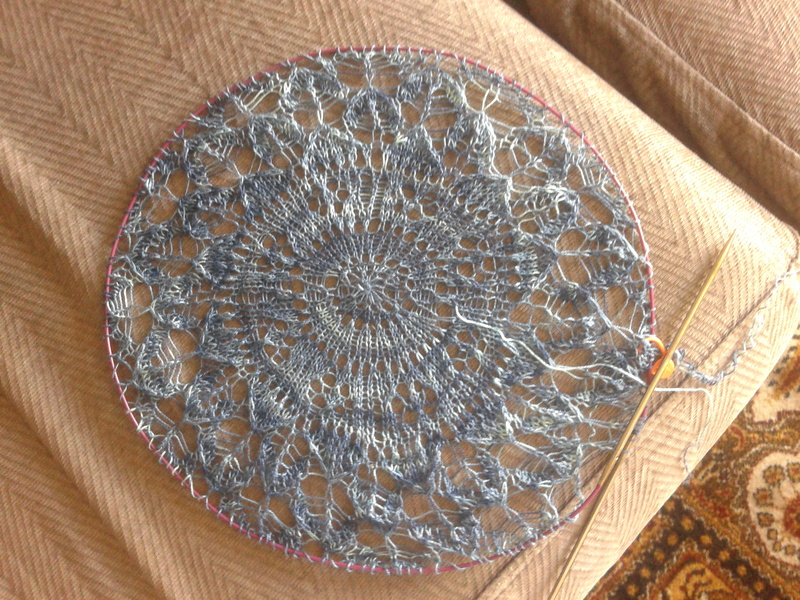 I have 1500m of the Fyberspates Tia Lace which I’m working up the pattern in, not sure how much I’ll use / need. So the current plan is to stop knitting when it looks the right size.